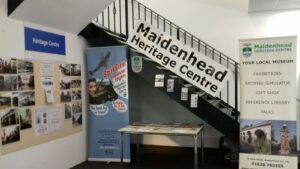 A special finds identification day is being held at Maidenhead Heritage Centre on Saturday July 22nd. Many people have found mystery objects while out walking or digging in their garden: an old coin, an old bottle or a piece of pottery, or in the case of the Centre’s chairman a wedding ring whose owner was eventually traced! At this special event being staged as part of the UK Festival of Archaeology, you can bring along your mystery object for expert David Williams (Finds Liaison Officer) to inspect and hopefully identify. Perhaps you have a real treasure. 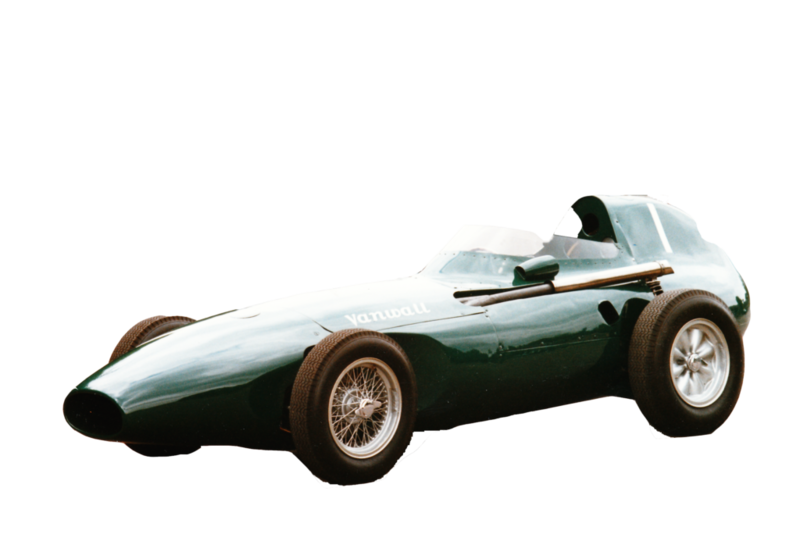 Did you know that Maidenhead was home to the Vanwall racing team, started by Tony Vandervell who was fed up with “those bloody red cars” (Ferrari) always winning Grand Prix races. 60 years ago, at the height of Vanwall’s success, local boy Stirling Moss became the first British driver to win the British Grand Prix driving a British car. Vanwall enthusiast Robert Cooper tells the Vanwall story of triumph and tragedy in this special anniversary lecture. Tickets £8 in aid of Heritage Centre funds. Advance booking recommended 01628 780555. 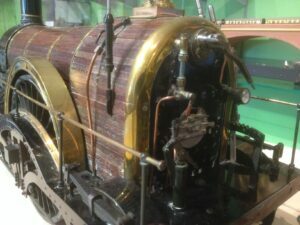 On Thursday 6th April, a superb 1:12 scale model of one of the first railway engines on Brunel’s Great Western Railway was installed as part of the railway display in our Baylis Gallery. The highly detailed model has been loaned by the Friends of Swindon Railway Museum and will greatly enhance our display about the railway. In the proposed new Heritage Centre, transport will be the major theme. Within that theme, Brunel’s work (including the Sounding Arch railway bridge) will start the story, which will be brought right up to date with the Crossrail project, due to open in 2019. In the meantime railway enthusiasts are invited to come and admire our Iron Duke model. 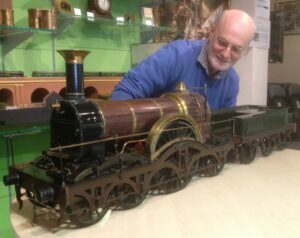 Photos show Curator Nick Forder admiring the model of Iron Duke. The second shot shows the excellent detail on the model. Our 1:72 scale model of Brunel’s Sounding Arch railway bridge is visible in the background. Any volunteers for polishing the brass?